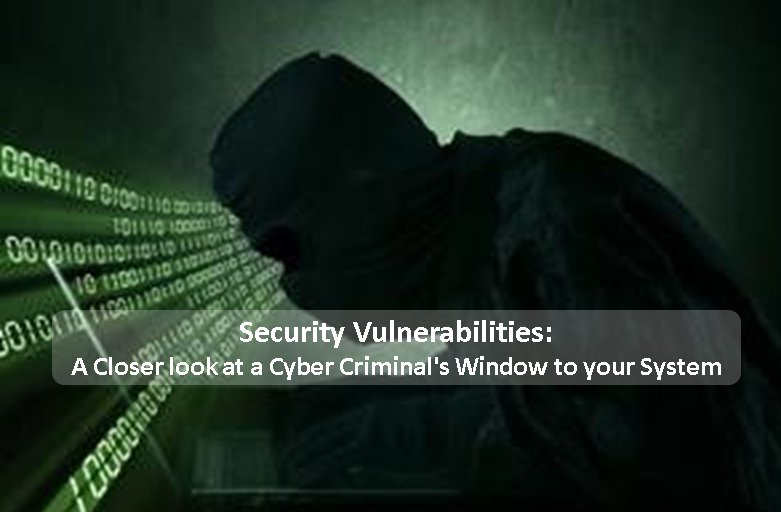 Security Vulnerabilities: A Closer look at a Cyber Criminal’s Window to your System – CT Link Systems, Inc.
You may be hearing more and more these days of new security vulnerabilities being discovered in the news and may be wondering what exactly it may imply? Simply, a vulnerability represents the ideal opportunity for cyber criminals to infiltrate your system to compromise your data or to perform data theft. According to current data now, we can see that these vulnerabilities will be popping up more often as 2017 had a record-breaking year for reported exploitable vulnerabilities, with almost 20,000 security flaws reported over the year. For the year 2018, the data is still being tallied however, a report from RiskBased Security has already noted that more than 10,000 vulnerabilities have been reported in which 3,000 potential flaws which enterprises have failed to patch. Traditional vulnerability – is a programming error or other type of software issue that hackers can use to sidestep password protection or security measures and gain unauthorized access to legitimate systems. These are the most rampant types of security vulnerabilities. Undisclosed vulnerability – these are flaws that have been identified and reported, but are not yet disclosed to public users, giving vendors time to patch the issue. So, what can you do to help address these vulnerabilities? The severity of the patched issue. Microsoft and other vendors will rate vulnerabilities according to how critical they are to overall risk. More critical patches should be applied as soon as possible, whereas less critical updates can represent a lower priority. Vulnerabilities impacting your enterprise’s particular key software. Similarly, updates for software systems that are used on a daily basis within the enterprise and provide essential functionality should be prioritized over other updates. A patch for a software that is only intermittently used, or only impacts a small number of users in a single department of the company, for instance, can be put on the back burner. Those currently being exploited. It’s important to prioritize patches for vulnerabilities that hackers are currently using to mount attacks. To learn more, you may visit the original Trend Micro article here, visit our product page here, or you can also contact us directly at 893-9515 and we will be happy to answer your inquiries! ← Hyperconverge Workshop: A Test-Drive Awaits!